Niagara University provides over 60 graduate awards, scholarships, graduate assistantships and campus employment opportunities for graduate students attending the university. 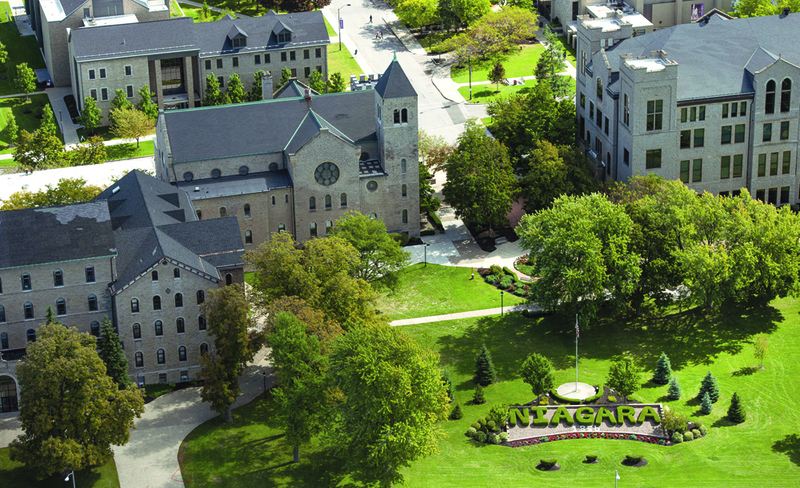 For more than 155 years, Niagara University has been educating students in the highest academic tradition. 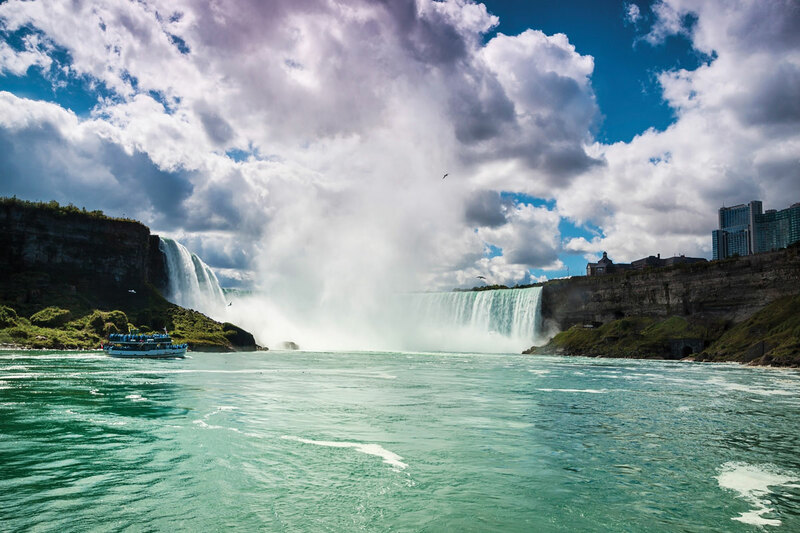 Niagara University’s beautiful 160-acre campus runs along the top of scenic Monteagle Ridge overlooking the Niagara River gorge, just four miles north of the world-famous waterfall. The location of the campus, which is adjacent to the international border between the United States and Canada, provides convenient access to transportation hubs and global opportunities for its students. Niagara University has everything graduate students are looking for: esteemed academic programs; small classes that accentuate individualized learning with highly credentialed faculty; evening, weekend, and online options; and the hands-on, practical knowledge needed to succeed in today's fast-paced world. The premier graduate criminal justice program in Western New York designed for both working professionals and those entering the field. An innovative curriculum that crosses traditional disciplinary boundaries and lets students design their own graduate program with courses in grant writing, fundraising and nonprofit leadership. Our master's degree program in information security and digital forensics (ISDF) is designed to prepare students and working professionals for an exciting and rewarding career in cybersecurity, both in government and in private business. The program equips individuals with the knowledge necessary for the Certified Information Systems Security Management Professionals (CISSP) certification. With nationally acclaimed faculty, practice-oriented curriculum and AACSB accreditation, Niagara lets you complete your MBA in as little as 16 months with convenient weekday evening or Saturday classes. Ranked this year as one of the world’s best by CEO Magazine. Concentrations in: Accounting, Finance, Global Business and Supply Chain Management, Strategic Wealth management, Human Resource Management, Strategic Marketing Management, International Management, Financial Planning, Strategic Management, Healthcare Administration, General Management. Niagara University’s master of science in finance provides students with a rigorous, advanced study in the areas of corporate finance, investments and financial planning. The College of Education is dedicated to preparing the highest quality professionals for dynamic careers where they will make a difference in our communities in education, human services and leadership roles. Graduate and professional programs are offered on the main campus and at satellite campuses in Ontario. Niagara University’s educational leadership programs are CAEP-accredited graduate programs that prepare candidates for leadership roles. The programs focus on the development of school and community leaders, and the knowledge, skills and dispositions that are critical for those who lead educational communities and nonprofit organizations. For individuals who are planning to become school counselors, mental health counselors, school psychologists or to work with individuals with developmental disabilities, Niagara University’s counseling and clinical graduate programs deliver the education and training students will need to succeed in today’s competitive market. Niagara University’s popular clinical mental health counseling program was the first in New York state and is open to Canadian students as well. CMHC graduates work in in-patient and out-patient settings with a job placement rate above 90 percent. Niagara’s school counseling program educates graduate students to become school counselors at the elementary, middle and secondary level. School psychology students are thoroughly trained in both psychology and education, and this program includes specialized preparation in mental health, child development, school, organization, learning theory and behavioral sciences. The program was developed with the guidance and expertise of community leaders in rehabilitation and independent living. It is ideal for individuals who are new to the field and for those already employed by agencies that provide services to individuals with developmental disabilities who may be seeking advancement. The Niagara University PhD program in Leadership and Policy is designed for working professionals who are interested in furthering their leadership potential through research and advanced study. The program offers an innovative and unique model in preparing leaders who can implement systemic change to further organizational and community goals. Candidates will become leaders in shaping, implementing and evaluating policy in international, cross-disciplinary and diverse contexts. Niagara University’s M.S. in sport management is a focused, yet flexible, program designed to meet the needs of today’s graduate student while developing skilled professionals for the sport industry. The rigorous curriculum and experiential learning requirements are specifically designed to provide students with the skills necessary to be successful in a broad range of sport industry careers or to pursue advanced study, if they desire. Niagara University is accredited by the Middle States Association of Colleges and Schools. The programs are registered by the Board of Regents of the University of the State of New York. 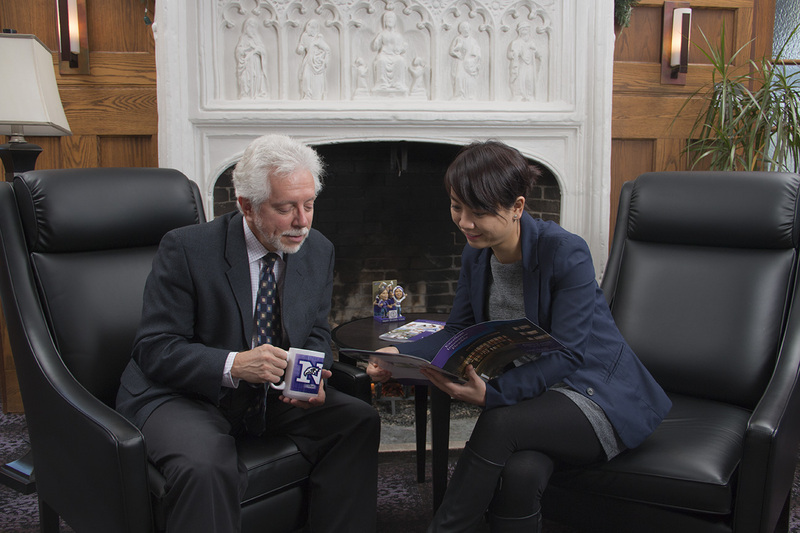 Informed by its Catholic heritage and inspired by the spirit of St. Vincent de Paul, Niagara University is engaged in educating the whole person, and recognized for excellence and leadership in liberal arts and professional education that makes a difference. ONLINE DEGREES MBA: Strategic Managment M.S.Ed. : Special Education 1-6 or 7-12. Certificate of Advanced Studies, Special Education 1-6 or 7-12. M.S.Ed. : Special Education: Annotation in Severe/ Multiple Disabilities. M.S.Ed. : Educational Leadership. Certificate of Advanced Studies, Educational Leadership. Certificate of Advanced Studies, School Building Leader. Certificate of Advanced Studies, School District Leader. Certificate of Advanced Studies, School District Business Leader Certificate of Advanced Studies, Applied Behavior Analysis.